I created Moustache Coffee Club as a passion project in summer 2013. 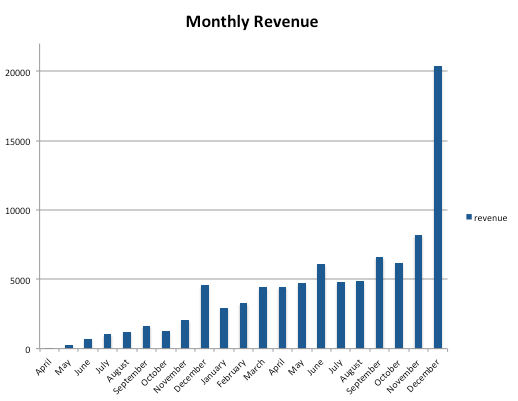 Within 1.5 years, I’ve grown it to $150k+ in revenue. Because of this success, I actually created a platform for other entrepreneurs to create their subscription business (read about it here). I’ve received lots of inquiries by other subscription business founders – most of them asking about my data. 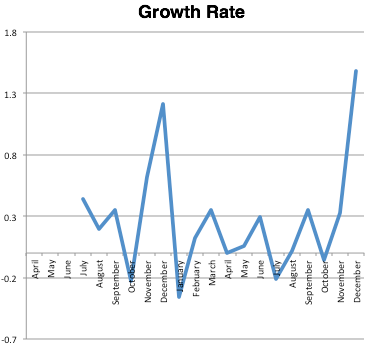 So, in an effort to transparently help these entrepreneurs, I decided to disclose my internal data. 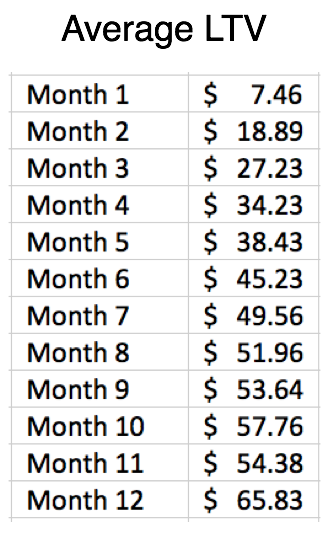 For every customer I get, I expect to have received $7.46 in their first month and by month 12, they will have given me $65.83 in total revenue. 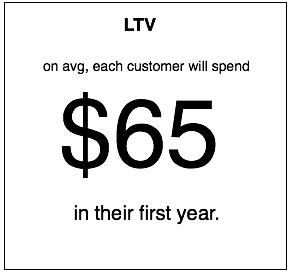 This helps me to understand how much I can spend to acquire a new customer (CPA). I hope that helps answer some questions. Email sean@bishbashbox.com to request more data and I’ll update this post. Grow your site using an affiliate program. Next PostHow I accidentally built a tech startup.